I gave these a try for the first time yesterday and here’s how they turned out. First of all I sifted flour, baking powder and salt into a small bowl. 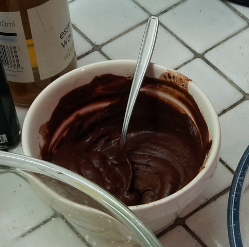 Then mixed some bright red food colouring into some strong cocoa powder. 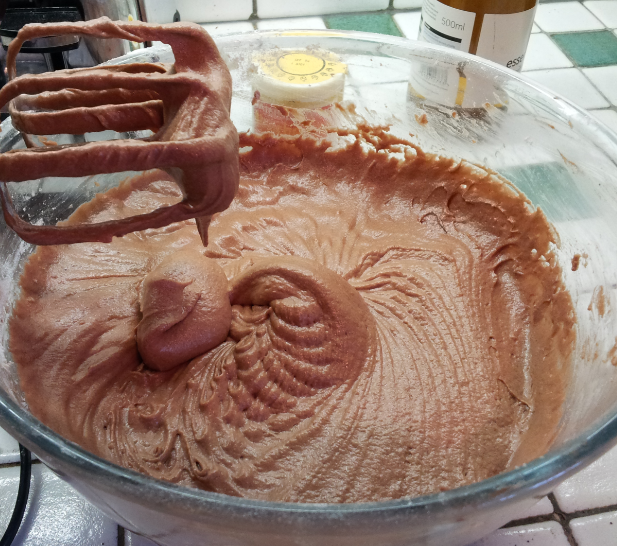 This was more brown than I expected, the red food colouring was obliterated by the cocoa powder. The I beat some butter and sugar together until light and fluffy. 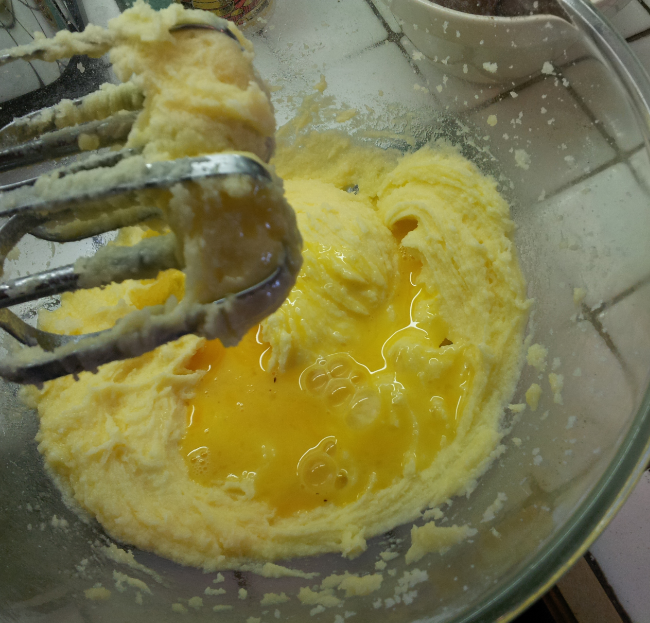 Then beat in the eggs, I beat them up a little before adding them to the butter and sugar, I am told they curdle if you stick them in all at once. 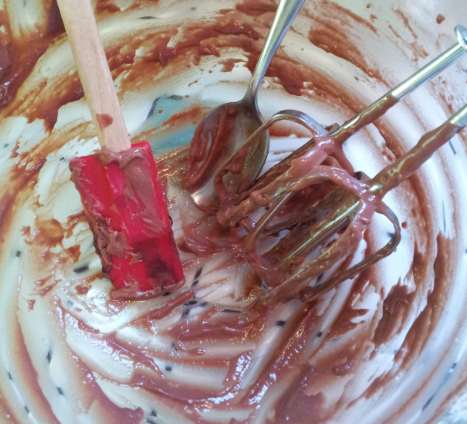 Then in goes the vanilla essence and red cocoa mixture. 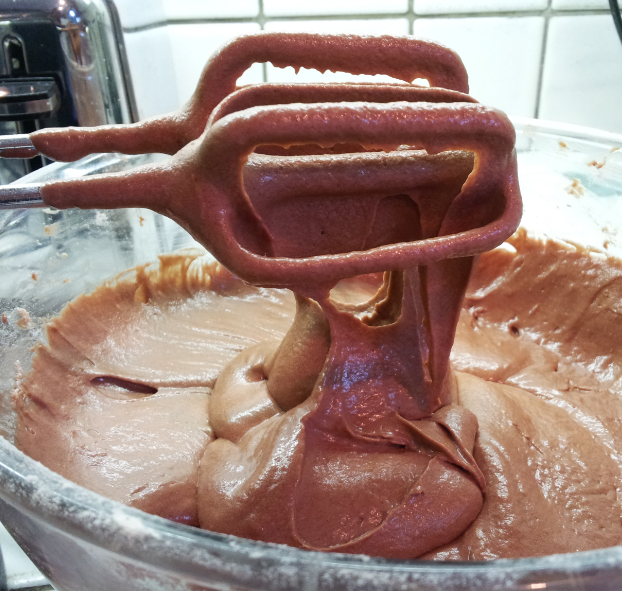 And, I don’t know, I was beginning to think this is looking rather yummy! Then a third of the flour mixture went in and half of the whole milk. 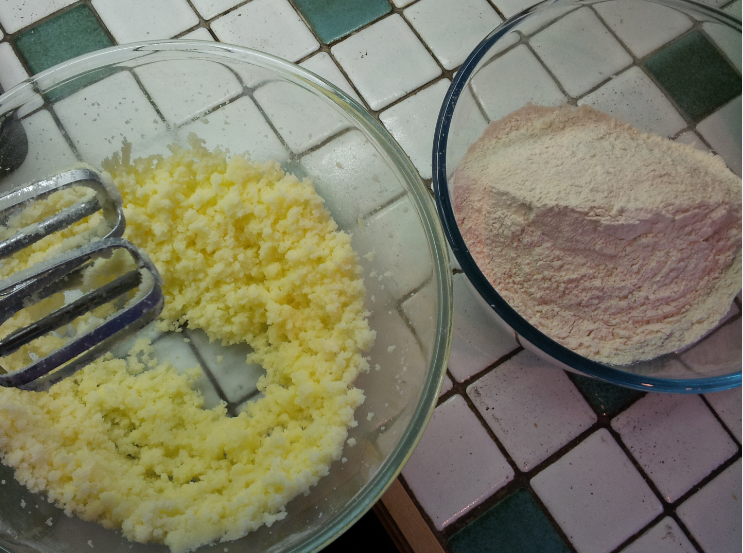 Now a third more flour, more whisking followed by the other half of the milk and lastly the remaining flour. 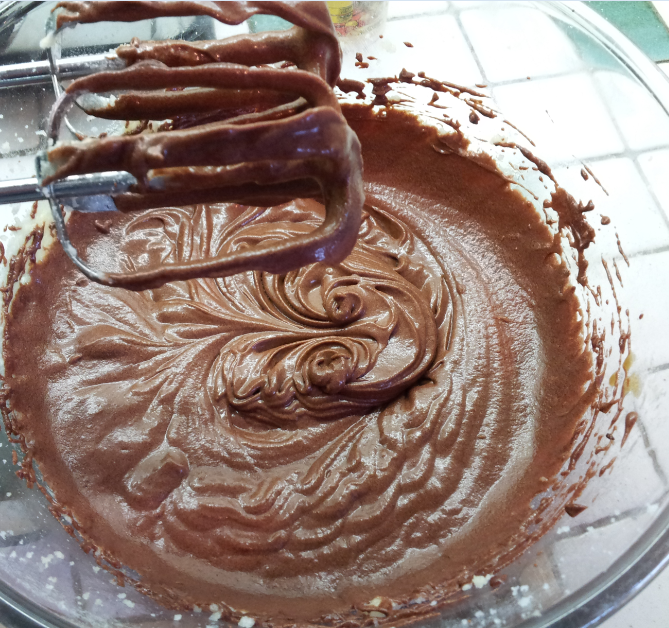 More whisking until all was beautifully combined. 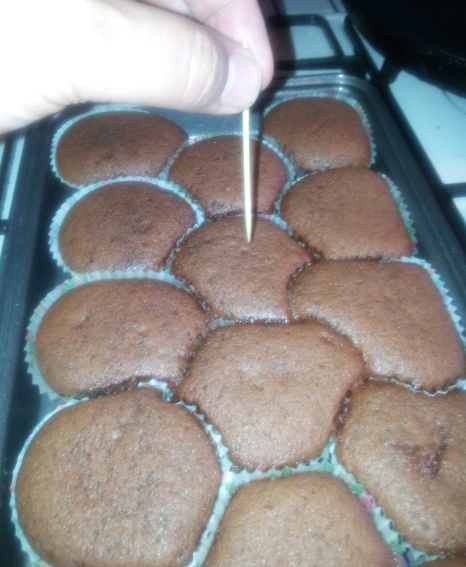 Time to put the mixture into about 30 small cup cake thingies. I used a dessert spoon to dish out as it fills them to about 3/4 full. Which is what you want. And yes Mum, I am going to lick the bowl even though there are raw eggs in it! Ah, childhood memories are flooding back of being slapped on the back of the head for that. Into the oven for 20 mins, turning after 10. Test if the Kop Cakes are ready with a koptail stick. If it comes out clean like this the Kop Cakes are kooked! 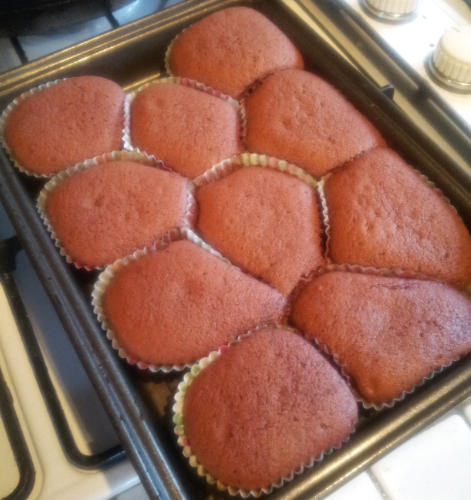 These bad boys are not quite the right shape but I’ll have to get that right next time. 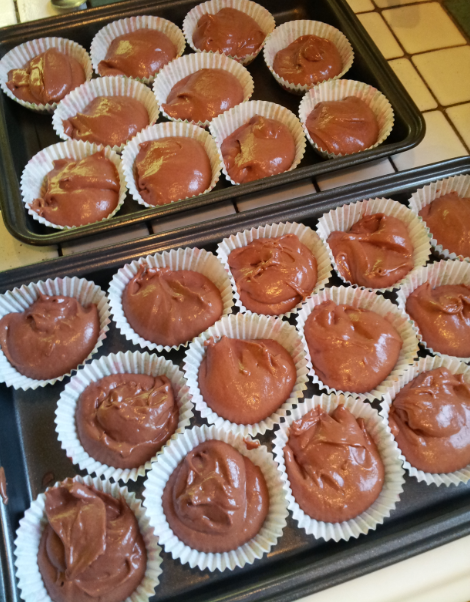 Quite a lot of faffing about but they do taste really good! I’ll be making the frosting for them while the Lamb Shankly is in the oven ready for our Kickball Cuisine lunch later today.